Painting on hand made paper from elephant dung. Growing up was full of self-amazement in a world full of life and endless explorable wonders. I joined the Wildlife Clubs of Kenya and the young ornithologists club (the junior branch of the UK’s RSPB) in high school. I found it most fascinating to learn bird names in English and Latin, and through the inspiration of our club patron and teacher I quickly developed a passion for birdwatching. We frequently visited the museum and went out on camping trips to learn our birds in the outdoors. Through these outings, I met Don Turner the proprietor East African ornithological safaris and co-author of the birds of Kenya and Northern Tanzania on several occasions leading serious birders in the field, I thought that this would be a great job. After completing college, I was employed at Don’s company now known as Origins Safaris, as a resident naturalist; first at the Mara River Camp and later in several other camps. 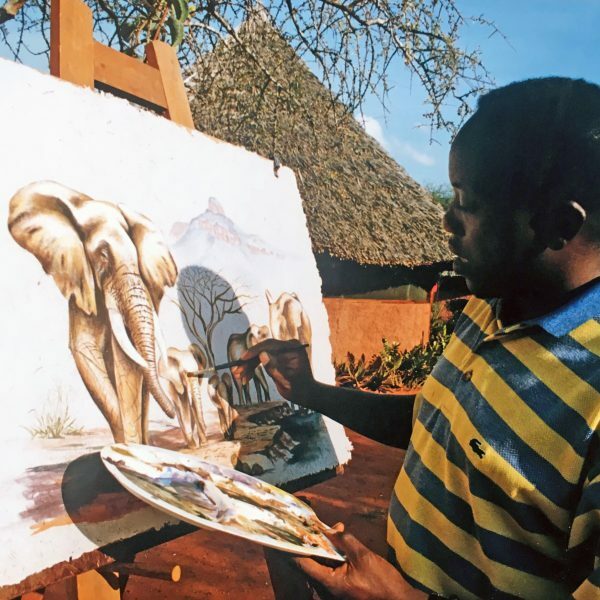 I spent my free time drawing and painting wildlife that I lived with and expanded my wildlife knowledge widely with visiting scientists and researchers including the smaller creatures, often ignored in the shadow of big game, reptiles, amphibians, dragonflies, butterflies and wild flowers Subsequently I became a mobile safari guide with Origins Safaris and settled in Nairobi where I now work from. I am a passionate, all-round guide with a great sense of humour, and a Gold Level accreditation in the Kenya Professional Guides Association (KPSGA), where I am a Board Member. My colours, pen and ink illustrations have appeared on scientific journals, conservation publications, and educational material featured in books such as Important Bird areas of Kenya, and Important Bird areas of Uganda in conjunction with Nature Kenya, BirdLife International and the department of Ornithology of the National Museums of Kenya. Birding trips are great fun in many ways, they are sportish with targets to meet records to beat surprise sightings to be cherished and there is never a boring brown bird. 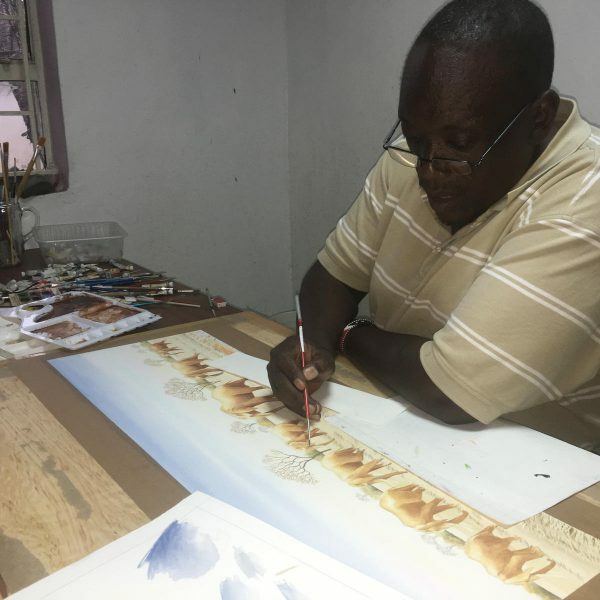 On reaching what I thought was the pinnacle of my career, dynamics in the tourism industry took a different turn and I find myself spending more time on my art between my safaris.